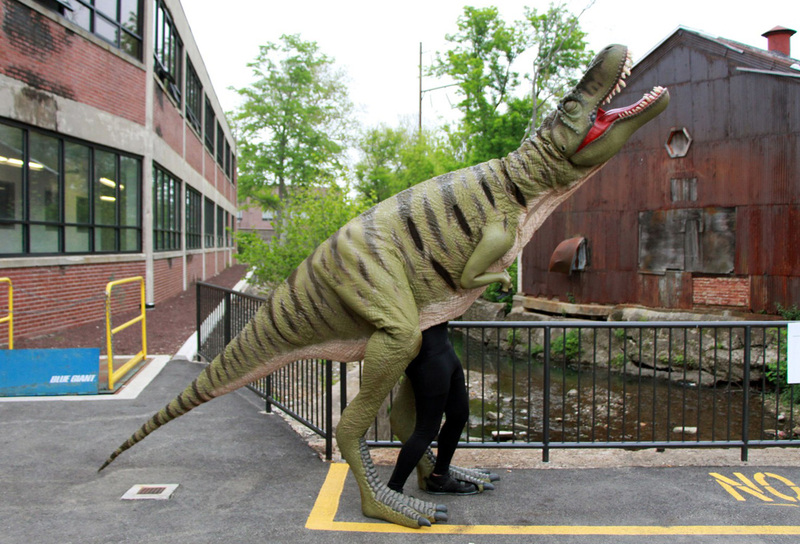 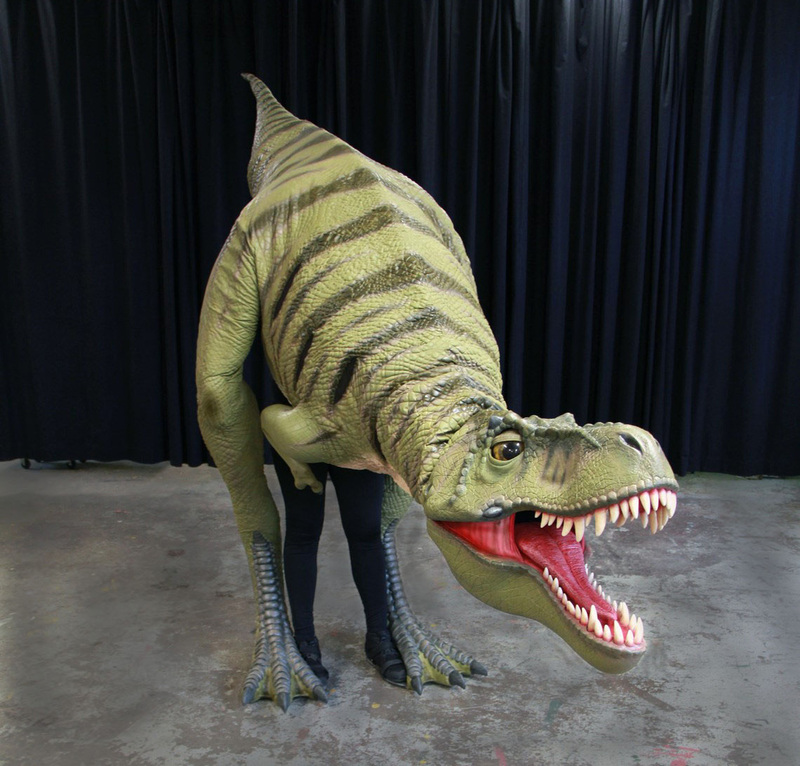 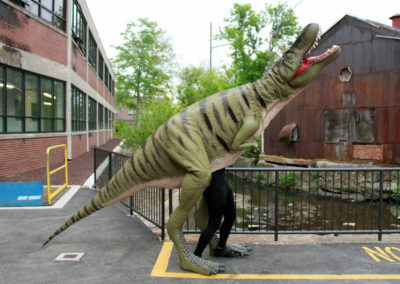 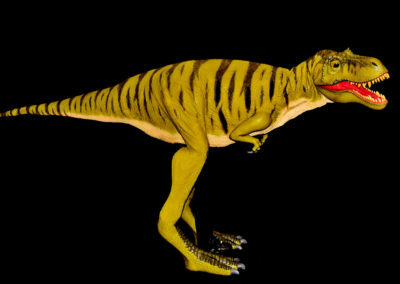 Creating a fourteen foot long, juvenile Tyrannosaurus Rex puppet was one of our largest projects to date, in every sense. 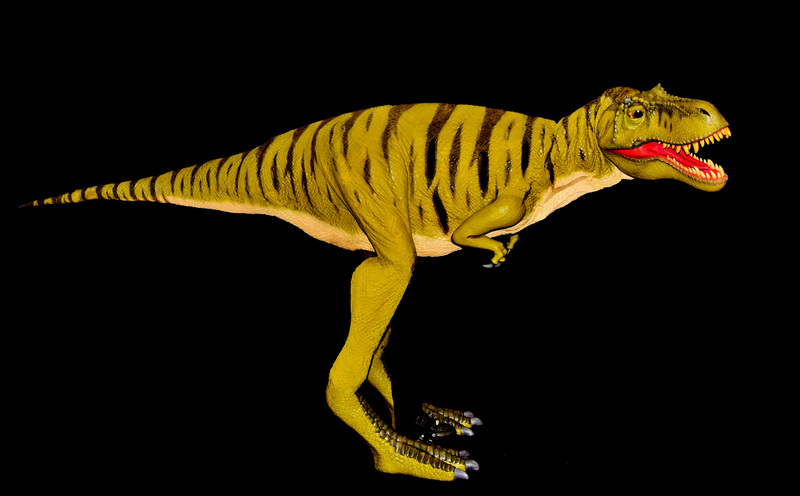 The Cretaceous puppet is designed to be sturdy enough to endure long summers, outdoors, while being light enough to not tax the puppeteer within. 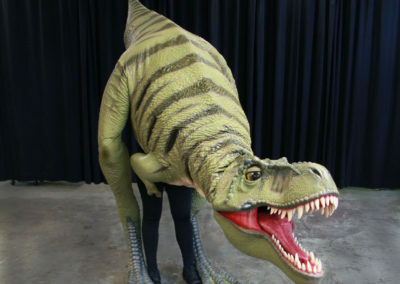 Along with a fully articulated neck, it boasts blinking eyes and snapping jaws. 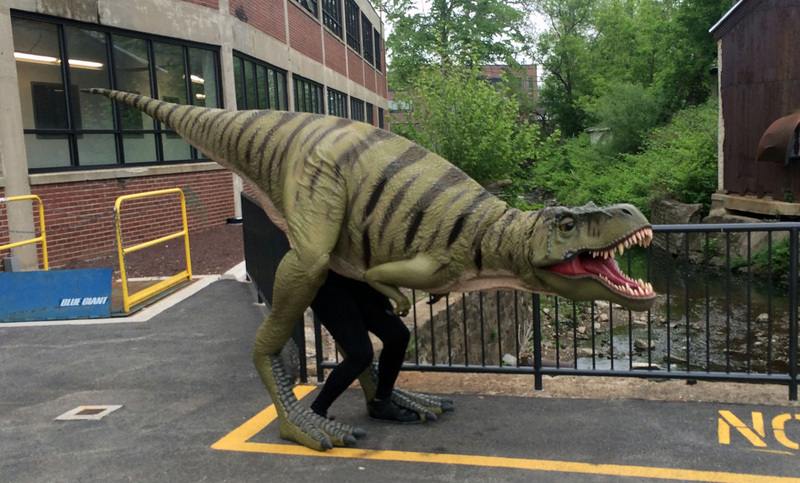 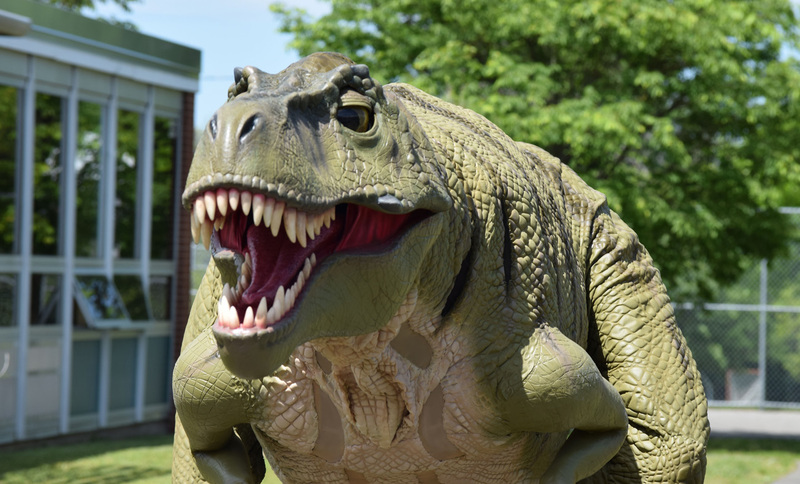 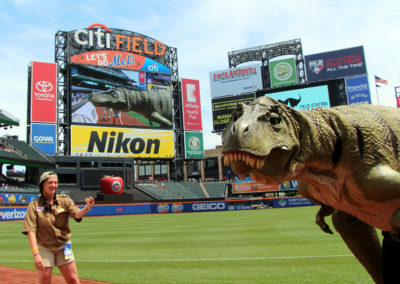 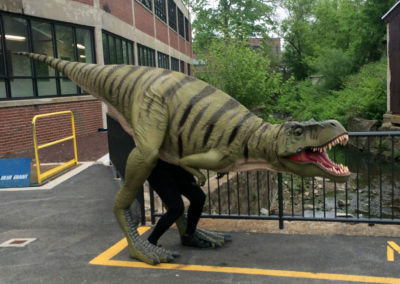 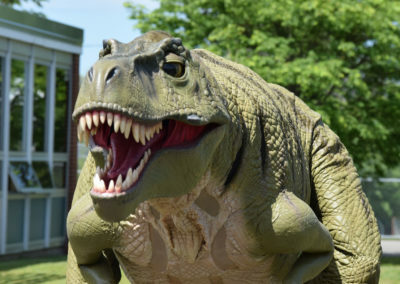 You can see it, every summer, at Field Station: Dinosaurs!